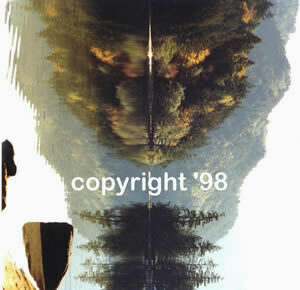 The original Still Waters photo, as shown in the header above, was taken with a disposable camera on October 28, 1995 off Revelry Island on Lake Whatcom near Bellingham, Washington on an unusually windless day. The photo hung on the fridge unnoticed for 3 years until it fell to the floor revealing the hidden panther shown below. 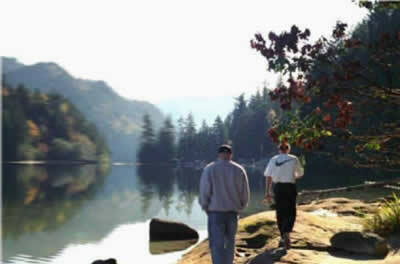 on lake Whatcom near Bellingham, WA. A 10 minute window of time existed for the light to be in perfect harmony with its surroundings to create this picture perfect gift from God. The funds raised from the sale of the hidden panther image called "Still Waters" are now being used to help others. 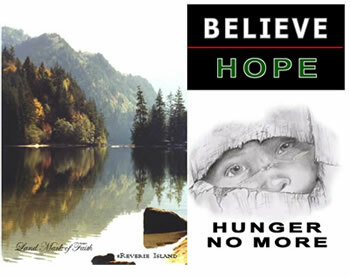 It is God's gift to encourage the Recipients of Hope to never give up as we collectively work to help those in need. Read the stories of how the Still Waters photo instilled a Vision of Hope to others within the pages of this website starting with the Still Waters Journey. The Panther Reflection is now being used in postcard format to raise funds to feed the hungry of Spokane. We would like to thank Lori's Web Design, a Christian Web Designer, for adding her hand to design the Still Waters Website!